Mary "Gretchen" Kray, age 72, of Willmar, died Tuesday morning, February 7, at Bethesda Grand Nursing Home in Willmar following a courageous battle with cancer. Memorial services will be 11:00 a.m. Saturday, February 11, at Calvary Lutheran Church in Willmar. Visitation will be one hour prior to the service at the church. 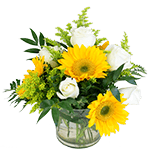 In lieu of flowers, memorials are preferred to the Calvary Lutheran Church Scholarship Fund. Mary Gretchen Kray was born June 22, 1944, in Belgrade, Minnesota, the daughter of Manuel and Audrey (Ringstrom) Rauschke. Gretchen received her elementary education in Belgrade and Montevideo, graduating with the awesome Montevideo Class of 1962 which has class reunions every 5 years. Gretchen was baptized at Zion Lutheran Church in Belgrade and confirmed at Our Savior's Lutheran Church in Montevideo. She moved to Minneapolis after graduation and worked for Aetna Casualty and Surety Company and KMSP Channel 9 Television. She later moved back to Montevideo and worked for Northwestern Bell Telephone Company. On October 1, 1966, Gretchen married Kenneth Kray of Clara City and she has lived in Willmar since. Gretchen worked at Affiliated Community Medical Center, Rice Memorial Hospital, Heartland Community Action Agency, and most recently at Walgreens in Willmar. She was a member of Calvary Lutheran Church and the American Legion auxiliary. She volunteered with the United Way, American Red Cross, Right to Read Programs, Habitat for Humanity, and the Jamaica Sunbeam Orphanage. 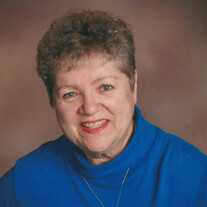 Gretchen enjoyed playing piano, western dancing, playing Bingo or a good game of cards, and tubing on the Apple River. She also enjoyed sewing and volunteered sewing hats for cancer patients. Gretchen loved a quick wit and liked to teach people things. She is survived by her children: Chris (and Stacie) Kray of Sioux Falls, SD, Cathy (and Michael) Deering of Mayer, MN, Greg (and Wendy) Kray of Minnetrista, MN, and Andrea Kray of Minneapolis, MN; her five marvelous grandchildren: Alec Kray, Carlie Kray, Jack Kray, Kray Deering, and Leo Deering; and her special friend, Eldon Hauser of Willmar, MN. Also surviving are a sister-in-law: Sarah Poverud; a nephew, Jonathan (and Kim Kelly) Poverud; and a niece, Samantha (and Scott) Thompson. She was preceded in death by her parents; a brother, Glenn Kenneth Poverud; and a niece: Kara Poverud.